From a young age, I was fascinated by why some teachers were easy to learn from, while others made things seem even more confusing. I was particularly fascinated with riding instructors, and exactly why I preferred some to others. I have been teaching, in one capacity or another, for nearly forty years. I have hired and mentored other teachers. Through all of that, I have formed some pretty strong opinions about teaching – what works, what doesn’t, and how context matters. But there is one conclusion I came to long ago – teaching is a talent, rather than a learned skill. This topic bubbled up from an exchange on Facebook, in which several people were commenting on a very well know and talented horseman. I have followed this person for a few years, and there is no doubt that he has tremendous feel for a horse. I have watched video of him getting on a strange horse, in a clinic, and he can generate lovely improvement in a short period. However, from some of his writings, I have wondered about his ability to pass on a fraction of his knowledge to a student. The comments in the discussion, from people who have observed or ridden in his clinics, confirmed my suspicions. The consensus from those people was that he was immensely talented, but left students at clinics feeling like there was some ‘magic’ about what he did. Whether intentional, or through inability to convey your concepts, no teacher should ever leave a student feeling that they have a magic or talent the student cannot achieve. One of my favorite things from George Morris was his answer to the question as to why he was such a good teacher. 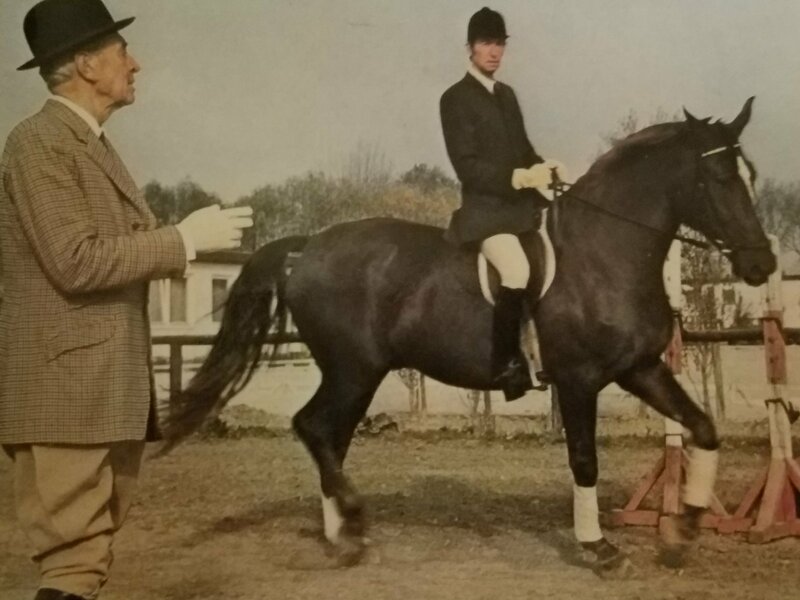 I could not find the exact quote to share, but the answer was that he had to work so much harder than his contemporaries, because he lacked their talent at riding, that he had to clearly understand exactly what he was doing and why. I like that idea, because I have found so many very talented people who are not able to explain what they do. At her first U.S. clinic, a two-time Olympic gold medalist even said “I can’t really explain how I do what I do!” She is not alone, in my experience. That being the case, selecting your instructor based upon the awards they have won may be setting yourself up for an expensive waste of time. Where I disagree with Mr. Morris’ assessment of his teaching skills is in its ignoring the talent that he actually has as a teacher. One of the qualities of a good teacher is exactly what he described – the desire to understand what is behind what they are learning. It is not enough to repeat instructions, or ride a movement – someone with the heart of a teacher wants to understand the “Why?” of it. Someone who is naturally curious is likely to become passionate about a subject of interest – and curiosity and passion are two vital traits for a good teacher. A truly great teacher encourages students who share their curiosity and passion. Having an insatiable curiosity, I love to engage in discussions of “Why?” Sadly, I have encountered many professional trainers who are not interested in such engagement. Another key quality of a good teacher is empathy. By that I do not, necessarily, mean that they are sweet, soft, or worried about their student’s feelings. The empathy I am referring to is the ability to recognize whether their student is able to follow their instructions. I have watched workplace instructors running classes, and completely missing that half of the classroom has been lost for much of the class. I have watched riding instructors who blame the student when the student is not able to perform what is asked. 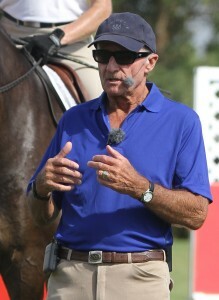 Old style instructors, like George Morris, can be blunt and seem pushy – yet they are also quick to praise when a student accomplishes something. A good instructor may need to push, but should always be able to recognize when they need to try another approach, because the student is not grasping the concept. None of these instructors showed any level of empathy. Is it possible that they were able to teach correct riding? In the last case, he certainly had an admirable track record. But I find flawed any teacher who would knock down anyone who strives to learn. Teaching is not about judging your students for their ability to please you – it is about setting realistic expectations for both you and the student, then working in partnership to achieve them. Along with a dose of empathy, this requires the ability to contain your own ego. All of the above instances involved a certain amount of the instructor letting their ego get in the way addressing the given situation. Finally, a good teacher has to be gifted with the ability to communicate clearly and fluidly. Your knowledge, vision, and ideas are of no use if you cannot convey them to the student. That does not necessarily require the vocabulary of a PhD – but it does require the ability to provide clear language. In addition, it takes a fluidity of language, to be able to change how an instruction is expressed, if it is not understood by the student the first time. Repeating the same phrase that a student has clearly not understood will not result in a sudden realization on their part. I have had situations where I have had to come up with four different descriptions or visualizations for a single issue before the student has that “Ah-ha!” moment. It is rare to have to go that far, but has happened a couple of times in my teaching history. Riding and teaching both require talent – but there is little doubt in my mind that they are separate talents. Riding is a physical talent, requiring feel and body control. If you take it to the level of training horses, from beginning to finish (and believe me, many riders never get there), then you need to add empathy and analytical thinking to the physical talent. Both of those are necessary to a riding teacher – but you must also be able to translate your thoughts into meaningful instruction, and adapt them based upon the visual and verbal feedback your student provides. That, I know from long experience, is not a talent possessed by everyone! This entry was posted in Thinking Out Loud and tagged riding instruction, riding instructor, teaching as talent, teaching riding, teaching with respect. Bookmark the permalink.